Welcome SMLS-NRT COHORT THREE; we have 8 dynamic students who will be joining us in Spring 2018 as Entrants. They are Louis Colarutolo of the Corradini Group and Mike Hickey and Alex Mills of the He Group, Food Sciences; Hazel Davis, Tew Group, and Khatcher Margossian, Muthukumar Group, in Polymer Science and Engineering; Jamar Hawkins of Mechanical and Industrial Engineering, Sun Group; Yongkuk Park of the Lee Group in Chemical Engineering; and Mengqi Xu in the Ross Group in Physics. Congratulations to all on your acceptance into the program. Oct 11, 2017: SMLS-NRT held its 2nd Annual NRT Retreat, you can check out the Agenda here. 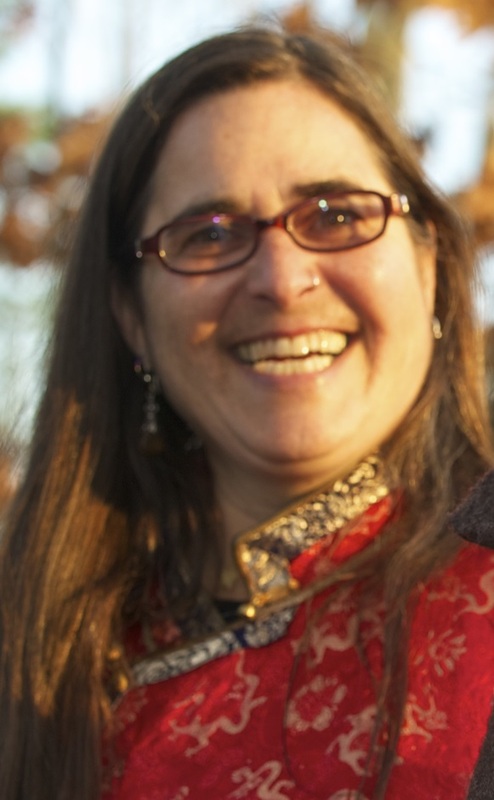 Professor of Molecular Neuroendocrinology of Reproduction, Dr Sandra Petersen in the Department of Veterinary and Animal Sciences, also Executive Director of STEM Diversity Institute and the Director of the Northeast Alliance for Graduate Education and the Professoriate (NEAGEP), recently sponsored the workshop "If Not GRE, Then What?" aimed at developing better predictors of graduate academic success in STEM fields. Read the article here. NEAGEP sponsors activities for underrepresented minorities on campus who are studying in STEM fields; students are offered financial support in the form of diversity fellowships and supportive mentoring. ChE Professors Jessica Schiffman and Sarah Perry have developed nanofiber fabrics that are green and non-toxic that can be used in medical, environmental, personal care and food packaging applications. Find out more here. 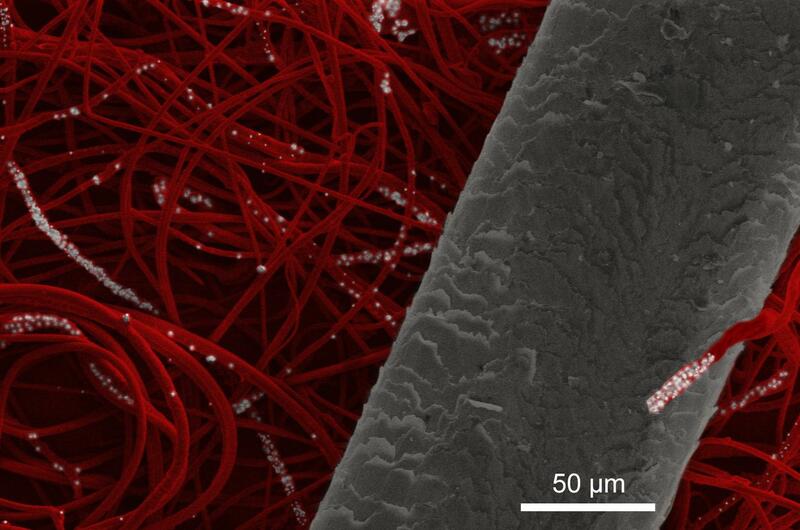 [Fig] Non-toxic fabrics developed at UMass Amherst have very small fibers (red) in comparison to a human hair (gray). Salt crystals, shown in white, that decorate the surface of the fibers can easily be rinsed away using water. Scanning electron image by UMass Amherst students Xiangxi “Zoey” Meng and Savannah Szemethy. Several NRT Trainees have been invited to participate in a 3M Team Visit to IALS on September 19, 2017, courtesy of Peter Reinhart, Director of IALS and a NRT IAB member. Attending will be NRT Trainees Yalin Liu, Kelsi Skeens, Jingjing Gao, Yiliang Zhou, Ryan Carpenter and Kevin Zhang, as well as our NRT science-of-science study graduate student, Tim Sacco of Sociology, who will observe the interactions. The students will participate in 2-minute speed talks over coffee and refreshments with 3M researchers, earning professional development credit as well. 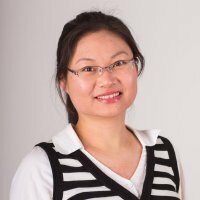 Sep 2017: Professor Lili He of Food Science will be presented with the nationally acclaimed Award for Outstanding Accomplishments in Research and Creative Activity by Chancellor Subbaswamy at the Thirteenth Annual Faculty Convocation on October 11, 2017 along with several other faculty. July 2017: Prof. Carter hosts a NRT BBQ at his home, including members of his own and the Tew research group. Students enjoyed pulled meats and sides, played croquet and bocci ball while Ken and his band "The Limit" played cover tunes. A good time was had by all. 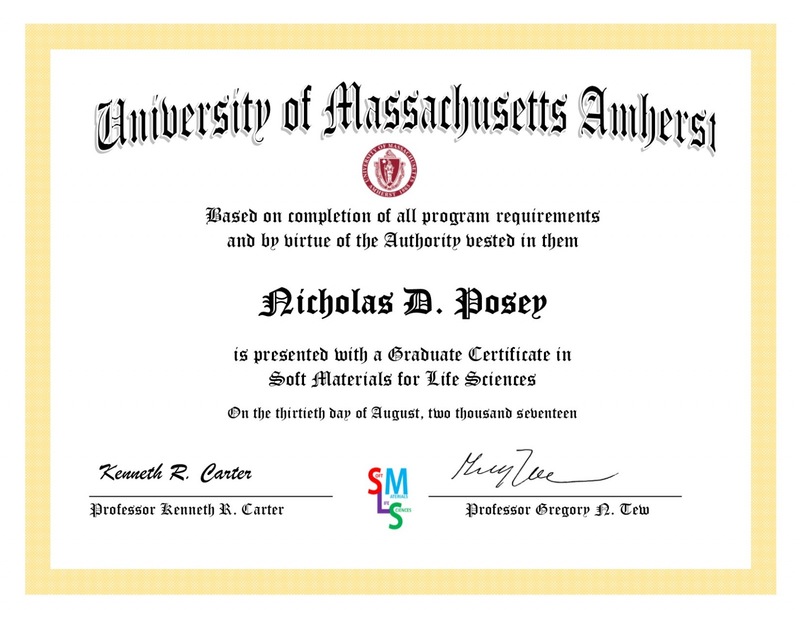 June 2017: The SMLS-NRT is officially designated as a Graduate Certificate Program on the UMass Amherst campus! 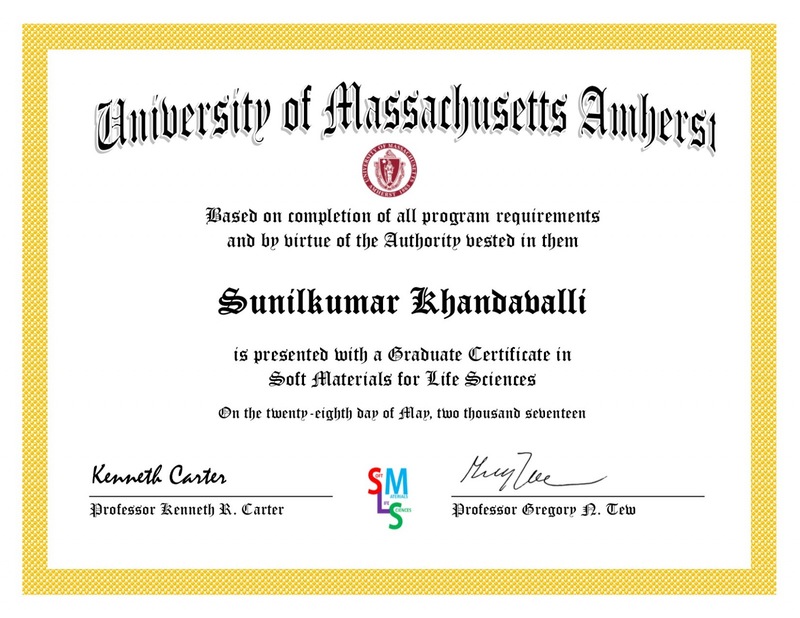 May 2017: Our heartiest CONGRATULATIONS to the first NRT Trainee to complete our Graduate Certificate program, Sunilkumar Khandavalli, a member of Professor Jonathan Rothstein's Mechanical and Industrial Engineering Research Group. Of his NRT experience Sunil remarks, "I am really glad that I have finished the requirements for the NRT program and to be the first graduate. I certainly have learned a lot more things; I took fun courses, and was exposed to much broader aspects of the graduate education through the NRT program I perhaps wouldn't have otherwise in these 2 years. Thanks for having me in the program and offering resources, opportunities and encouragement." 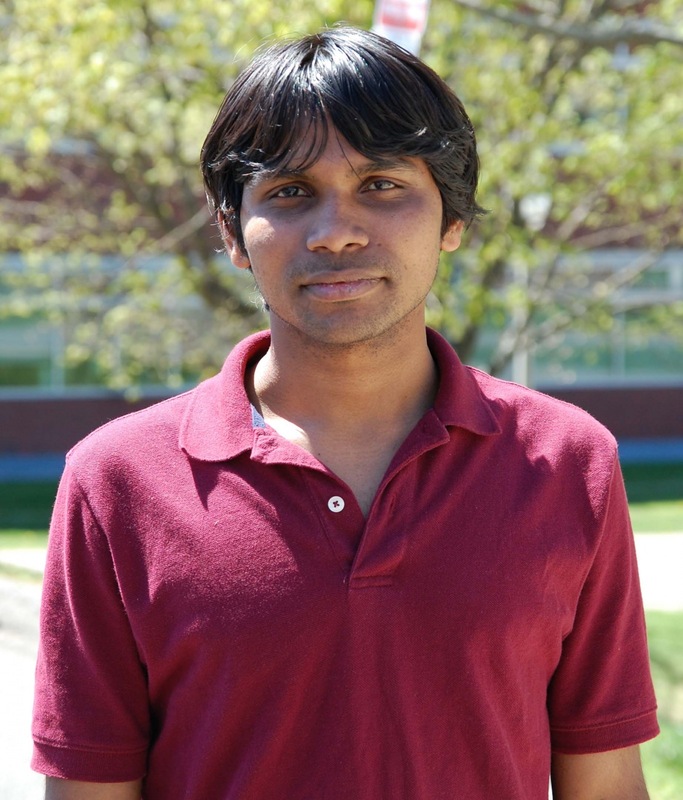 Sunil gradutes with his Ph.D. this September with his thesis, "Rheology and Roll-to-Roll Processing of Shear-Thickening Particle Dispersions" and will receive the very first Soft Materials for Life Sciences National Research Traineeship Graduate Certificate. May 2017: CONGRATULATIONS to our second NRT Trainee to complete the program. Michael Kwasny of the Tew research group in Polymer Science & Engineering remarks that "The SMLS-NRT traineeship has been an excellent experience, providing me with the opportunity to grow both as a scientist and as a graduate student. It has exposed me to a wide range of scientific disciplines that I normally would never have spent time to learn about and has helped me to think about problems in my research differently. On top of that, as a result of this program, I was able to grow in my knowledge and understanding of the potential careers available to me, as well as being better prepared for entering into those careers after graduate school." 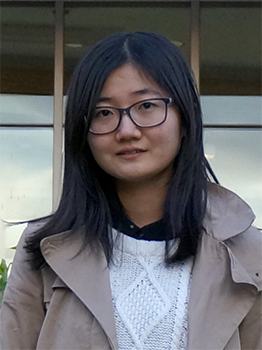 May 2017: CONGRATULATIONS to our third NRT Trainee graduate; Yalin Liu of ChE's Perry research group has successfully completed the requirements and will receive her NRT Graduate Certificate. 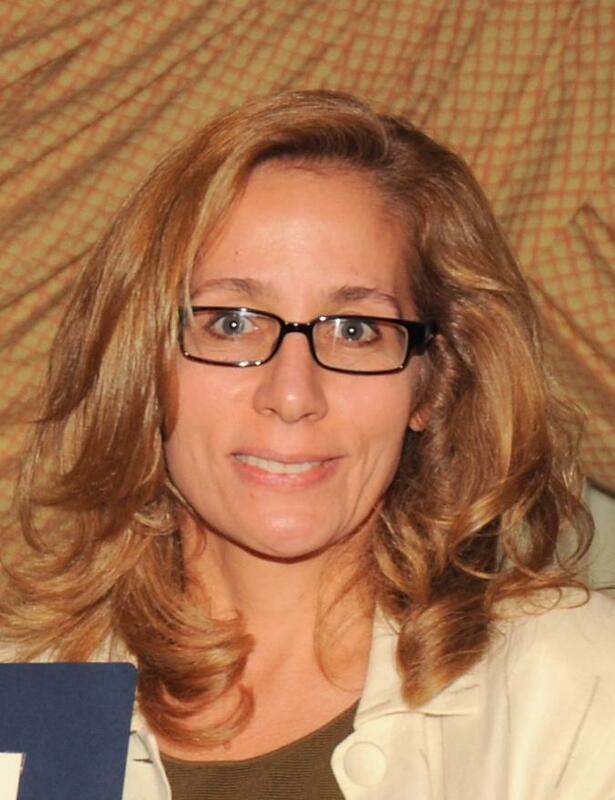 Of her experience with NRT, Yalin says "I had a great experience with the NRT program. It helped me to build up collaborations, improved my lab skills and engaged me in professional development. I enjoyed training through the NRT, which not only helped me on the research side, but also provided lots of opportunities to network with faculty and industrial contacts. 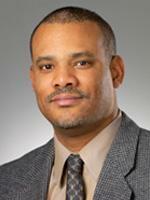 I will recommend this program to upcoming graduate students." 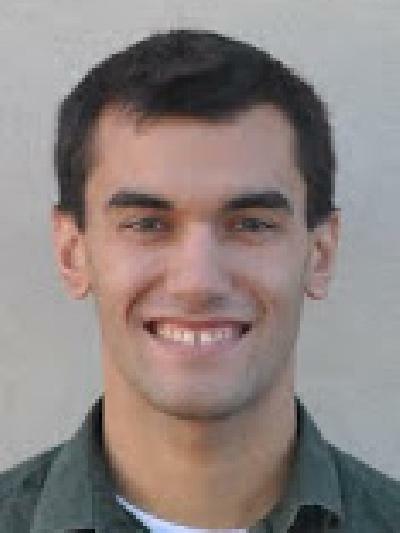 August 2017: CONGRATULATIONS to NRT Graduate Nick Posey of the Tew Research Group in Polymer Science and Engineering. 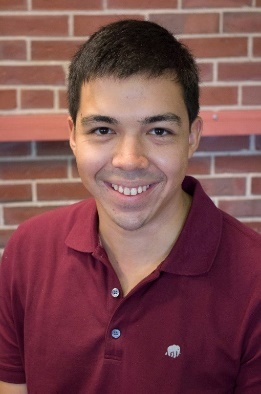 Here's what he had to say about his time as a NRT Trainee, "The value of the NRT, for me, was the scientific and professional development connections that it helped me make with the people here at UMass. NRT introduced me to experts in their respective fields and gave me access to professors that I otherwise never would have met. Likewise, the NRT linked me up with students from diverse disciplines who perhaps I never would have know if not for NRT. I greatly appreciated the funding opportunities and I think that the NRT accomplished it's goal by helping me to have a broader understanding of the different fields of science that revolve around the greater topic, soft materials for life sciences." 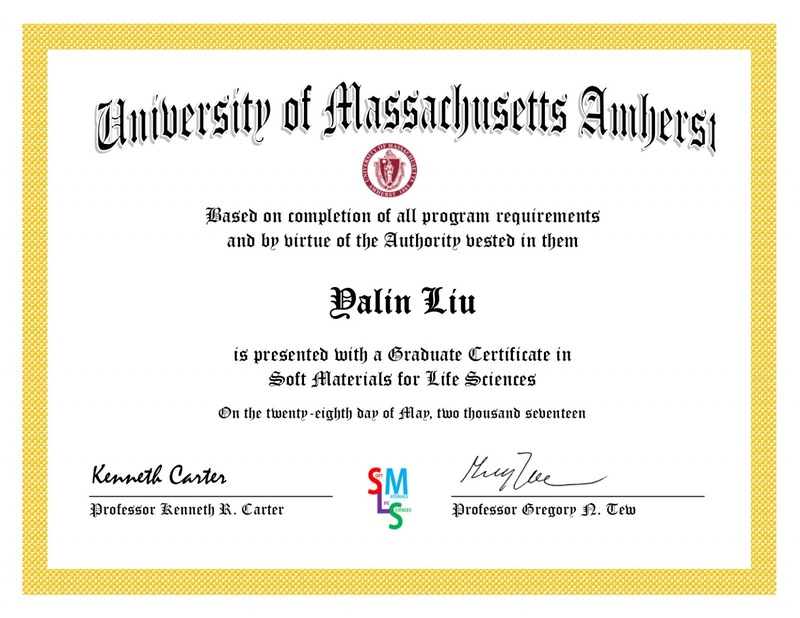 September 2017: Our 5th graduate is Yiliang Zhou of the Carter Research Group in Polymer Science & Engineering and he says of his time with NRT, "The SMLS-NRT progam provideed me an excellent opportunity for communicating with other graduate students from various backgrounds. Meanwhile, I was able to attend research conferences, career panels and other activities with the support of the NRT program. These experiences benefitted me a lot, not only for my own cross-disciplinary research, but also for my broader knowledge and better communication skills." 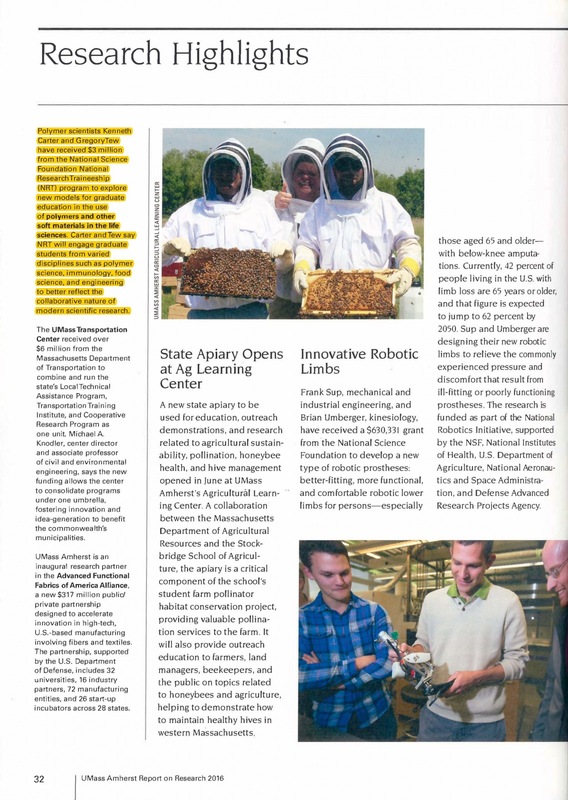 Apr 2017: Peter Reinhart, Director of the Institute for Applied Life Sciences (IALS) and a member of the NRT Internal Advisory Board (IAB), is featured in Commonwealth Magazine about UMass Amherst's investment in innovation. 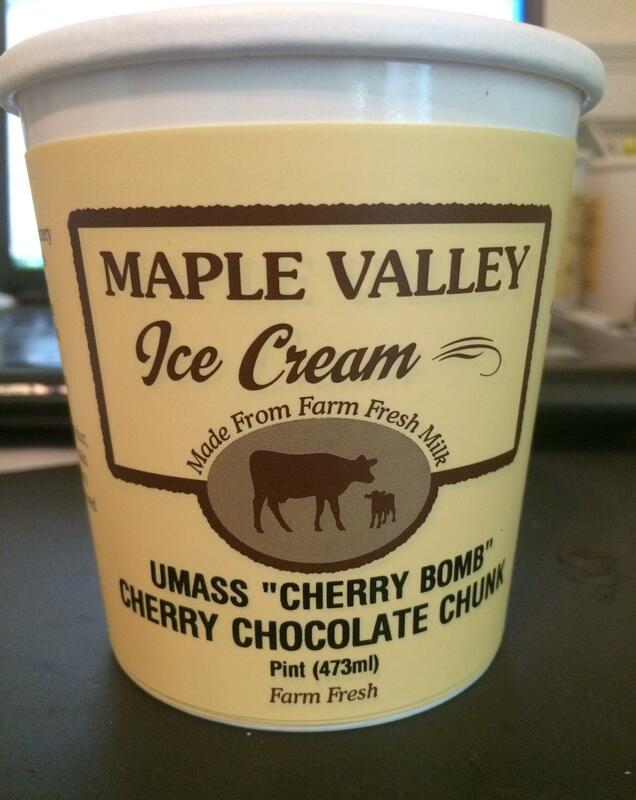 According to Reinhart outside companies have discovered the facilities and research that is available at UMass Amherst and they are lining up to get access. Read the rest of the article here. 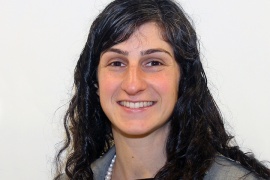 Apr 2017: Congratulations to Prof. Jessica Schiffman of ChE who is the recipient of the Barbara H. and Joseph I. Goldstein Outstanding Junior Faculty Award. 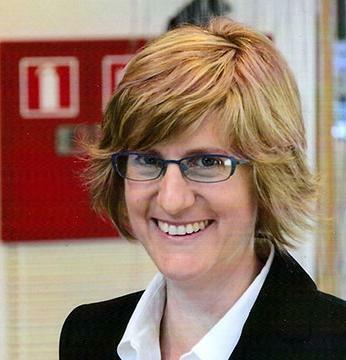 Jessica was cited by the selection committee for her outstanding record in research, teaching and service including the development of novel bioinspired materials from natural polymers and planet-derived agents. 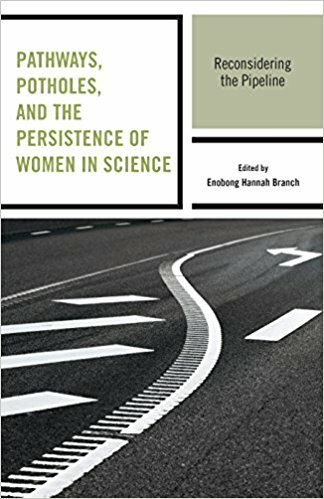 Mar 2017: Prof. Laurel Smith-Doerr of the UMass Amherst Sociology Department and a participating NRT faculty will take part in a Book Launch on the 28th of March with a reading from and discussion on Pathways, Potholes, and the Persistence of Women in Science: Reconsidering the Pipeline along with other contributors Dr. Enobong (Anna) Branch, UMass Amherst Faculty Advisor to the Chancellor for Diversity and Excellence, and Laura E. Hirshfeld, Medical Education and Sociology, University of Illinois at Chicago. 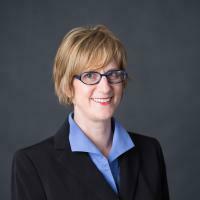 In addition, Dr. Smith-Doerr, along with Sharla N. Alegria and Timothy Sacco, recently published "How Diversity Matters in the US Science and Engineering Workforce: A Critical Review Considering Integration in Teams, Fields and Organizational Contexts" in the journal Engaging Science, Technology, and Society. 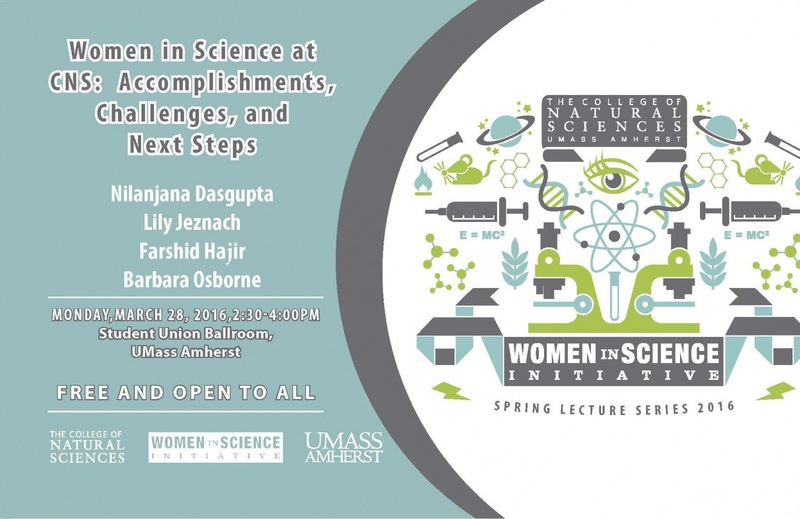 Jan 2017: NRT and Chemical Engineering faculty Prof. Jessica Schiffman and ChE's Prof. Sarah Perry were awarded a UMass Faculty Research Grant to support their work on Electrospinning of Complex Coacervates. Ryan Carpenter, a member of Prof. Jungwoo Lee's research group in Chemical Engineering, attended the Cell Plasticity within the Tumor Microenvironment Keystone Symposia on Molecular and Cellular Biology in Big Sky, MT in January 2017. Ryan presented his work on "Capturing Microenvironmental Regulation of Metastatic Dormancy and Recurrence" at a poster session as well as presenting a short "teaser" talk on his research. Ryan says of his experience "The close-knit atmosphere allowed me to interact with the same people for the duration of the conference to share ideas and knowledge. I developed several new connections from academic and industrial researchers interested in using our model systems to answer their own questions. In the future I hope to utilize these interdisciplinary collaborations to solve complex biological problems." Sunil Khandavalli of Prof. Rothstein's Mechanical and Industrial Engineering research group traveled to Tampa, FL in Feburary 2017 for the 88th Annual Society of Rheology Meeting where he presented a talk entitled "Gravure Printing of Non-Newtonian Fluids: The Effect of Shear and Extensional Deformation." Sunil attended several talks on various topics including fundamental, rheological studies on materials systems such as colloids, polymer melts, wormlike micelles; processing behavior of materials in applications such as 3D printing; and dynamics free surface interfaces of fluids. 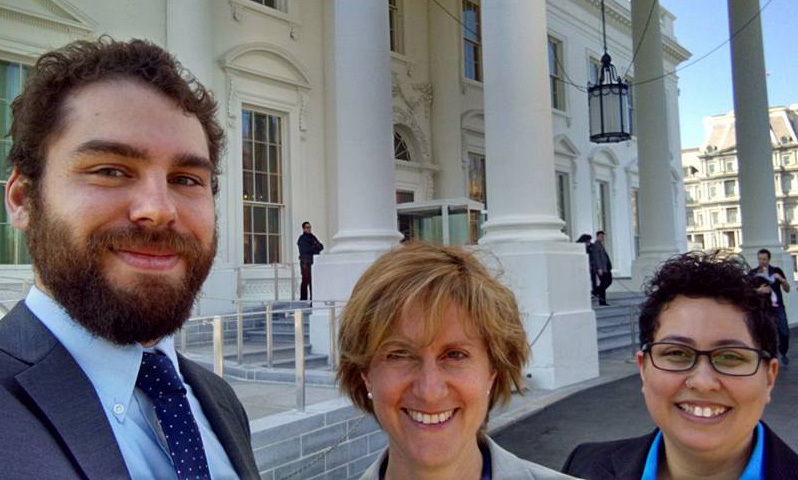 He had the opportunity to network with other graduate students, faculty and industry scientists. Sunil remarks, "I received very useful comments on my work from the audience after my presentation." Mike Kwasny, in the Tew research group in PSE, presented twice at the 253rdh ACS Spring Meeting, once in lieu of Prof. Tew with a talk entiled "Conductivity and Mechanics in Self-organized Networks" and his own presentation entitled "Going Beyond Ruthenium in Metal-Cation-based Anion Exchange Membranes." Mike remarks of the conference, "It was an amazing experience where I was able to learn about chemistry in a wide range of fields to which I normally would not be exposed. Having this experience helped stimulate me to think about my research in new ways, reminding me of the importance in hearing about research in scientific fields that are drastically different from what I normally study." 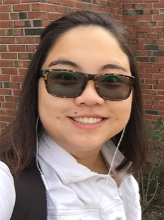 Jingjing Gao from Prof. Thayumanavan's research group in Chemistry presented at the 253rd ACS Spring Meeting her talk entitled, "Logic Gated Supramolecular Disassembly and Non-covalent Guest Molecule Release." She says that "attending this conference really opened my eyes into the research field I am interested in; getting the chance to learn about the progress and future trends helped me to clear my thoughts about my own research." Nick Posey from PSE's Tew group presented "Modulating the Hydrophobicity of Cell Penetrating Peptide Mimics for Binding and Intracellular Delivery of Protein Cargo" and says of the 253rd ACS Spring Meeting, "Going to the ACS national meeting in San Francisco was such an enriching experience for me. Not only did I get a chance to open up my research to a new audience, but I was also able to meet and see some of the best minds in polymer chemistry present their work. By the end of the conference, I had a whole notebook full of new ideas and insights. I also got a chance to ask questions directly to the professors that I have been following in the literature. The most important aspect of this experience however was reconnecting with other professors, mentors, and students that I have met previously." Xiangxi "Zoey" Meng (right), a member of the Perry and Schiffman research groups in ChE, attended the ACS Colloid and Surface Science Symposium at City College of New York in July 2017. She found the conference "inspiring and very friendly" especially as a graduate student still in the early stages of her studies. She presented on her research developing a controlled release antibacterial fiber as a model platform from electrospinning coacervates, entitled "Encapsulating Cargo Using Electrospin Complex Coacervates Fibers." 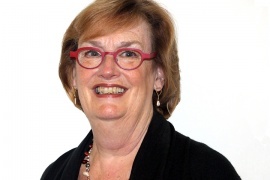 Much of her time there was spent attending talks on versatile collodial sciences from researchers around the world who "shared knowledge and raised concerns in an open atmosphere. Although I was not used to asking questions, I was very intrigued by the research and became more confident and interactive." Returning home with "conference fatigue" brought her "the satisfaction of being exposed to science versatility and the happiness of being inspired!" Polymer Science and Engineering student Yilang Zhou (right) of the Carter research group attended the Electrochemical Society (ECS) Annual Meeting in May/June 2017 in New Orleans, LA and presented his paper "Fabrication of Three-dimensional Woodpile Cerium Oxide Nanostructure via Solution-based Soft Nanoprint Lithography for Enzymatic Glucose Sensor." Yiliang says "It was a nice experience for me to communicate my own research with a new audience and to gain from the meaningful comments. I also learned a lot from the other presentations and posters and gained a much better understanding of the new trends in electrochemistry which will inspire and help my research." Yalin Liu (right) of the Perry research group in Chemical Engineering is attending the AIChE Annual Meeting in Minneapolis, MN in October of this year and plans to attend a special event on polyelectrolyte complexes (PEC0) while there. 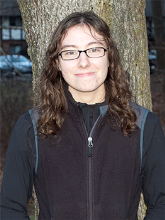 Her presentation is titled "Designing Material Dynamics in Polyelectrolyte Complexes." Also attending AIChE will be Whitney Blocher (left) who is also in the Perry research group. Whitney will be presenting "Encapsulation and Thermal Stability of Immunological Biologics using Complex Coacervation" and hopes to learn about other research and to network with other scientists; there are also several topics that line up with her area of research that she hopes will be very informative. 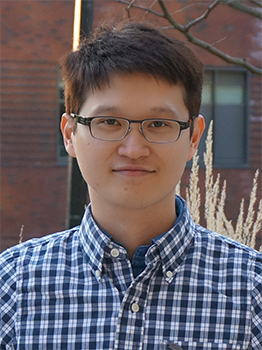 Li-Wei Chang in the Perry Research Group, ChE, will present "Designing Material Dynamics in Polyelectrolyte Complexes" at the 2017 ACS Annual Fall Meeting in August in Washington, DC. 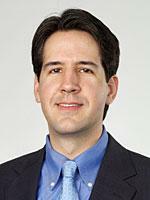 "Polymer scientists Kenneth Carter and Gregory Tew have received $3 million from the National Science Foundation National Research Traineeship (NRT) program to explore new models for graduate education in the use of polymers and other soft materials in the life sciences. Carter and Tew say NRT will engage graduate students from varied disciplines such as polymer science, immunology, food science, and engineering to better reflect the collaborative nature of modern scientific research." Oct 2016: Our first NRT Retreat on October 19th was a great success with NRT faculty giving brief presentations on their research, as well as very informative poster presentations by our students, and a student-moderated panel of members of industy including UMass alum. June 2016: Congratulations to our NRT Project Coordinator Trouble Mandeson, a PSE staff member for over 12 years, who was promoted and upgraded to Grants and Contracts Coordinator, Level II, a newly created title for UMass administrative staff who work with grant funds. In addition to acting as the coordinator on the NRT project, Trouble also manages the research groups of Profs. Tew and Carter, as well as assisting the student group Graduate Students for Diversity in Science and Engineering (GSDSE). 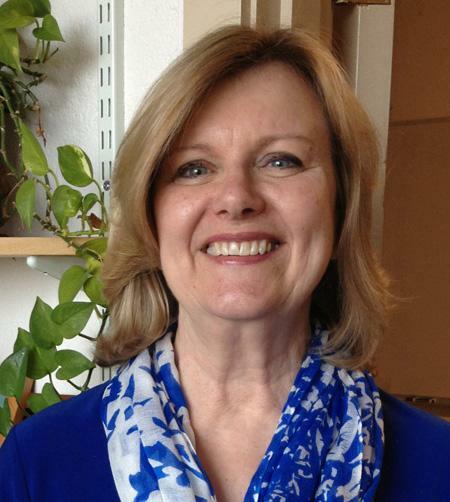 Trouble enjoys her work and loves working with the students who she refers to as "my kids." Jul 2016: STEM Family Travel Initiative Recognized by AWIS Magazine: NRT faculty Professor Maria Santore, Director of the STEM Family Travel Initiative (FTI) and professor of Polymer Science and Engineering, says it was "a welcome honor" to be recognized in a four-page article in the summer issue of the Association of Women in Science (AWIS) magazine. 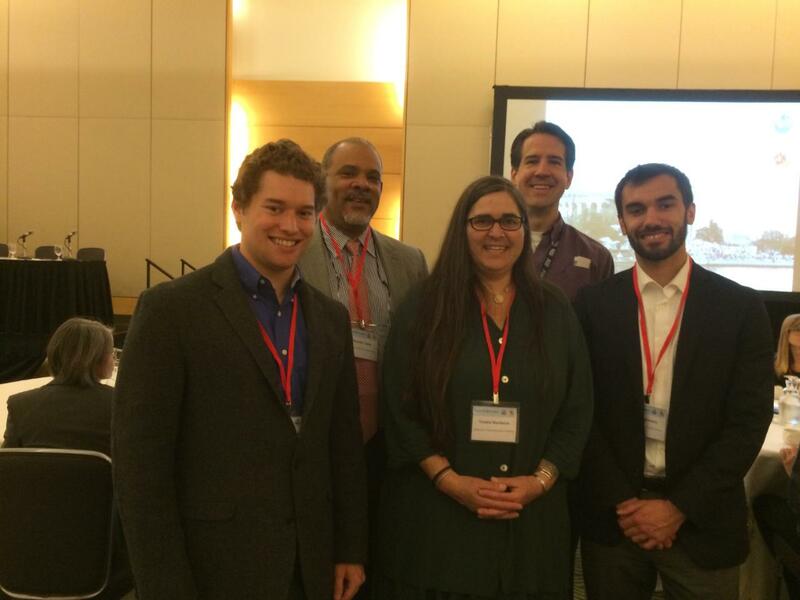 May 2016: Members of the UMass Amherst SMLS-NRT program attended the first ever NRT meeting at the University of Maryland, College Park, MD on May 2-3rd followed by a Future STEM Leaders event in Washington, DC on May 4th. UMass Amherst NRT Director and co-Director, Prof. Ken Carter and Prof. Greg Tew, along with Project Coordinator Trouble Mandeson and graduate students Nick Posey and Mike Kwasny, attended this highly energized event, which brought together faculty, coordinators and students from all 18 newly-funded NRT teams to share ideas, develop strategies for long-term success, and to participate in a national-level discussion on the future of STEM training from leading experts in academia, government and industry. Pictured at left: Nick Posey, Prof. Ken Carter, Trouble Mandeson, Prof. Greg Tew, Mike Kwasny. Photos from both events can be found here: https://www.flickr.com/photos/125604081@N06/albums/72157667296344240 and https://www.flickr.com/photos/125604081@N06/sets/72157667333712020. Mar 2016: Prof. Ken Carter (right) is voted in as a Fellow of the ACS Division of Polymer Chemistry. 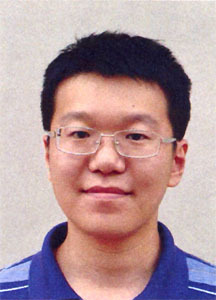 Prof. Lili He won the Young Scientist Award from the Agricultural and Food Chemistry Division of the American Chemical Society. 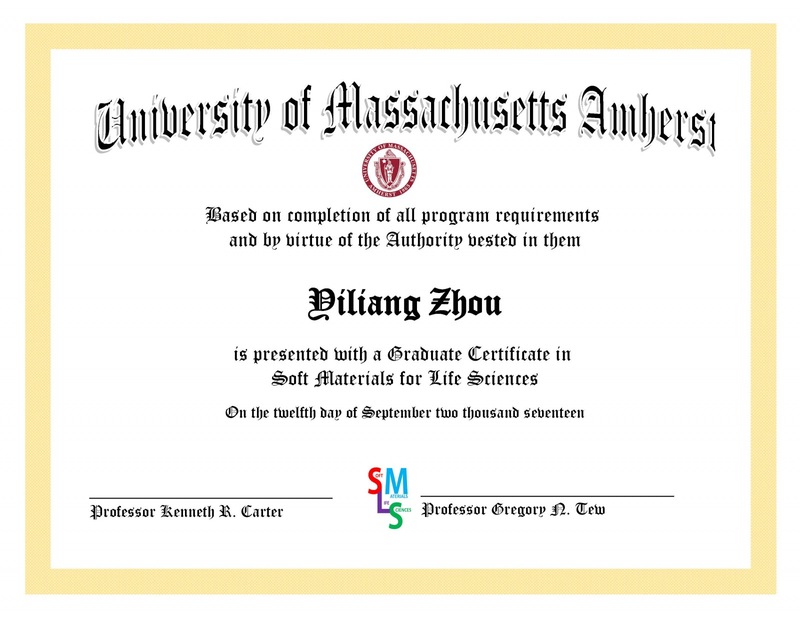 This award is given to the most outstanding scientist in a competition between 6 young scientists at the 250th American Chemical Society meeting in Boston. Lili also received the Eastern Analytical Symposium Young Scientist Award. The Eastern Analytical Symposium and Exposition is held each year to provide professional scientists and students continuing education in the analytical and allied sciences.